The law firm of Lawrence, Worden, Rainis & Bard, P.C. handles high-exposure litigation and defense matters for insurance companies, doctors, lawyers, businesses, landowners, and professionals. We typically defend claims involving amputations, burns, spinal and limb injuries requiring surgery, eye injuries, nerve injuries, paralysis, brain injuries, and large monetary losses. Attorney Malpractice Auto-GL Construction Accidents Environmental and Toxic Tort Insurance Coverage Disputes Medical Malpractice Medicare Litigation Municipal Liability Products Liability Professional Discipline Professional Malpractice UM-UIM-SUM Claims Recognized Excellence: Lawrence, Worden, Rainis & Bard, P.C. is AV-Rated* and is currently listed in Best's Directory of Recommended Insurance Attorneys and Adjusters. 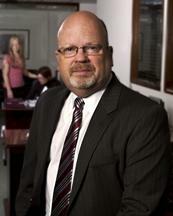 -Experienced Attorneys: Average of more than 20 years of experience per attorney. -Value-Added Service: Your bottom line is the top priority.The firm reviews every bill to make sure that clients are not billed for work that doesn't deliver value. -Responsive Representation: You will receive the attention you deserve. All phone calls and questions receive prompt responses. Choosing Your Battles Wisely Civil litigation today takes place on a complex legal battlefield. The lawyers of Lawrence, Worden, Rainis & Bard, P.C. will help you choose the right course of action, identifying where to focus attention and ensuring that your expenses yield the maximum possible impact. The firm is very cost-conscious and strives to provide effective, efficient services that deliver value to the client. Located in Melville, New York, the firm represents clients in New York City, Long Island and throughout the State of New York. The firm also acts as consultants to national liability insurance carriers with regard to complex medical issues. *CV, BV, and AV are registered certification marks of Reed Elsevier Properties Inc., used in accordance with the Martindale-Hubbell certification procedures, standards, and policies. *Martindale-Hubbell is the facilitator of a peer review rating process. Ratings reflect the confidential opinions of members of the Bar and the judiciary. Martindale-Hubbell ratings fall into two categories - legal ability and general ethical standards. The firm also handles appeals in both federal and state appellate courts. Referrals are frequently accepted. New York Defense Litigation Attorneys -Attorney Malpractice -Auto- GL -Construction / Workplace Accidents -Environmental Litigation -Insurance Disputes -Medical Malpractice / Legal Malpractice / Professional Liability -Medicare Litigation -Municipal Liability -Products Liability -Auto Injury Liability / SUM Coverage -Fire and Flood Damage Your Bottom Line is the Top Priority The attorneys at Lawrence, Worden, Rainis & Bard, P.C. are focused on taking efficient, cost-conscious measures to resolve legal problems. All insurance litigation is complex, and the firm's lawyers are able to quickly identify which issues may demand focused, sustained attention to bring about a swift and advantageous resolution. It is a top priority of the firm to assure that clients only pay for services that add value to their files. This priority is accomplished through accurate analysis, proven experience and a dedication to the work that you will find in every attorney at Lawrence, Worden, Rainis & Bard, P.C. If you would like to schedule a consultation to discuss professional liability, an insurance dispute, personal injury or property damage, call us today at 631-694-0033 or contact the firm online. -St Johns University, School of Law, 1978, J.D. -Carnegie Mellon University, 1975, B.A.